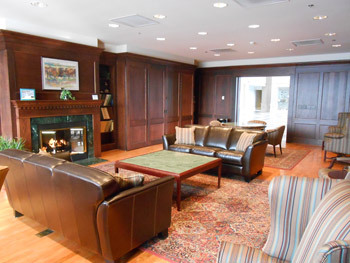 Crary Lounge features comfortable furnishings surrounded by deep mahogany walls, cherry floors, soft area rugs, and a fireplace. 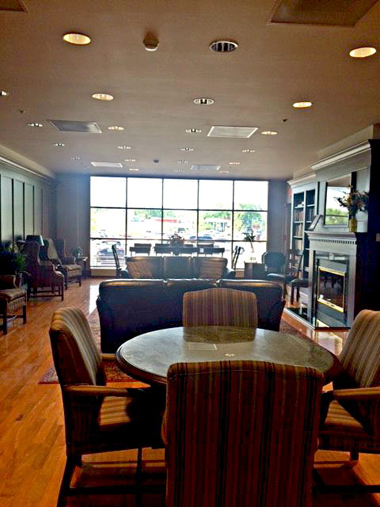 It is the perfect setting for small intimate gatherings up to 30 people. Patricia Crary graduated from NDSU in 1944 with a B.S. in Food Nutrition. She lives in Fargo and has six children: Katherine Johnson (1971 NDSU graduate), Thomas Crary II (1975 NDSU graduate), Elizabeth Brooks (1976 NDSU graduate), Charles Crary, Nancy Friesen, and Margaret Crary (Aleman) (1987 NDSU graduate).